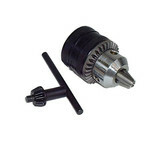 A popular accessory for the CL300M metal lathe, the tailstock chuck provides improved support for the workpiece at the tailstock end. 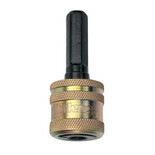 Supplied complete with chuck key. 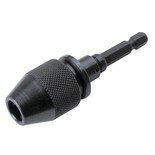 Right angled attachment adds versatility to your conventional drill to enable access to tight corners or awkward angles. 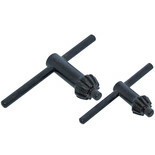 A set of 2 replacement chuck keys for 5/16", 3/8" and 1/2" chucks. 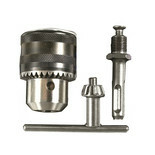 The Draper MK4 is a convenient four armed chuck key to fit type 1, 2, 3 and 4 chucks. 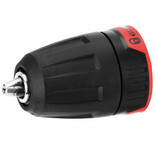 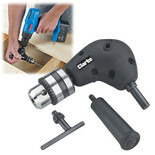 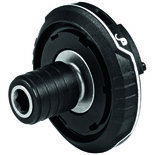 This FlexiClick Adapter locks with a click to ensure a secure hold of the GFA FC2 on the cordless screwdriver. 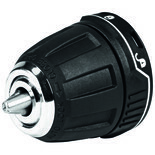 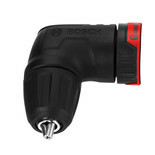 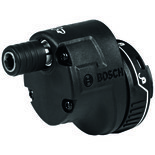 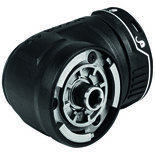 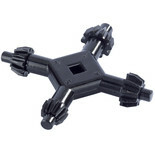 The Bosch GWA FC2 chuck is easy to operate and can be locked in 16 different positions (360°) without having to remove the adapter from the cordless screwdriver. 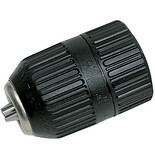 This chuck features six flats on the shank ensure precise location in the chuck. 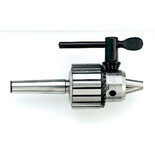 A spring loaded outer sleeve makes it easy to remove attachments.